You'll be £6.00 closer to your next £10.00 credit when you purchase The Mighty Healer. What's this? Verity Holloway’s nineteenth-century cousin Thomas Holloway’s patent medicine empire was so ubiquitous, Charles Dickens commented that if you’d murdered someone with the name Holloway, you’d think their spirit had come back to torment you. Advertising as far away as the pyramids in Giza, it was said Holloway’s Ointment could cure lesions on a wooden leg. Bottling leftover cooking grease in the kitchen of his parents’ Cornish pub, Thomas’s dubious cure-alls made him one of the richest self-made men in England. Promising to save respectable Victorian invalids ‘FROM THE POINT OF DEATH’ (his capitals), the self-proclaimed ‘Professor’ Holloway used his millions to build the enormous Gothic Holloway College and Holloway Sanatorium for the insane. But Thomas was a man of contradictions. To his contemporaries, he was simultaneously ‘the greatest benefactor to ever live’ and no better than a general who led millions to their deaths. Aware of the uselessness of his own products, he believed the placebo effect was well worth the subterfuge and never ridiculed his customers. A ruthless businessman, he was deeply in love with his wife and cared for the education of young women. The Mighty Healer charts Thomas’s rise and the realization of his worst fear – that rival company Beechams would one day take him over – plus the very Victorian squabbling over his fortune by his respectable and not-so-respectable relations. It draws on primary and secondary sources to ground Thomas’s life in the social issues of the day, including women’s education, Victorian mental healthcare, contemporary accounts of debtors’ gaols, and of course the patent medicine trade of the mid-Victorian period; the people who took the medicine, and those who fiercely opposed it. Verity Holloway is the first cousin, five times removed, of Thomas Holloway of Pills and Ointment fame. Her book exploring the life, work and times of her ancestor is a really good read. Its combination of a comprehensive biography with some excellent contextual sections provides the wider story that has previously been abbreviated in short articles or chapter on Holloway and individual aspects of his life. Where there are the inevitable gaps in what is known about Thomas's life, Holloway seeks context, placing him within his social and historical setting, and adding a range of fascinating anecdotes. In doing so, she creates an entertaining and informative account of his life. 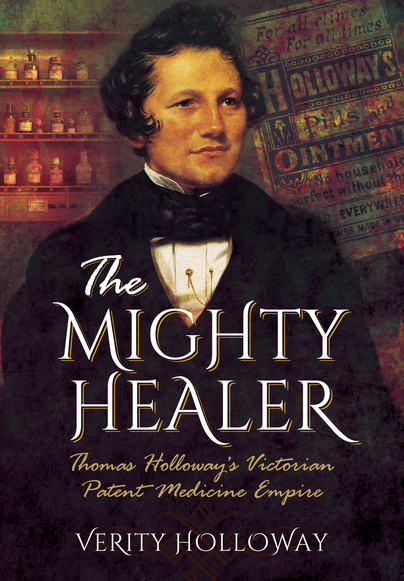 The mighty healer is about a Victorian man named Thomas Holloway. He was one of the most famous quacks of the age who was a philanthropist. He was also a champion of women’s education, which was really rare for the time. Even many women thought that a woman’s life was about “being” rather than “knowing”. While this book is about Holloway and his deeds through life, my deep interest in this book became the larger picture of Victorian society. There is quite a bit of information about institutions such as debtors prisons, asylums and the general public's view about who were in them. This is an excellent book for anyone interested historical marketing, and commerce. By telling this specific story, you understand a bit of the commerce and business practices of Victorian business people. This includes the mindset of potential customers of the time as well. For instance, Victorians often took many different types of “curatives” at one time, including those prescribed by a real physician. The reasoning being that one would hit the intended target. Alongside this lovely historical narrative are pictures of the marketing, product packaging, and satire from the time. All of this lent to a book that I read in no time. Excellent! Verity Holloway was born in Gibraltar in 1986 to a naval family and spent much of her early life following her warrant officer father around the world. Her speculative fiction and poetry is inspired by all things medical, religious and historical. By the age of seventeen, she was already being recognised as a gifted poet. 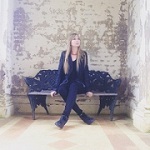 She published her first chapbook, Contradictions, in 2012, and more recently her sonnet Kelmscott was included in a Pre-Raphaelite Society poetry anthology. Verity regularly blogs about history on her website verityholloway.com.